Duff MacCallister is heir to a fierce family of fighting Scotsmen. 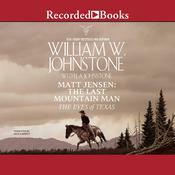 In a new land, in the extraordinary new saga by bestselling authors William W. Johnstone and J. A. Johnstone, Duff gives new meaning to the words without mercy. The Indians around Fort Laramie, Wyoming, are peaceful. Or so it has seemed—until killers ambush a detail of U.S. soldiers and an officer's wife. One man, an ambitious cavalry officer, flees the carnage and lives to tell the story—his own story, an outright lie. When Duff MacCallister and a few brave men go after the attackers, they discover the officer's wife is very much alive and at the cold merciless hands of the sadistic warrior Yellow Hawk. To free the woman, Duff touches off a fierce battle. And when he finds himself surrounded by the blood-crazed renegades, MacCallister knows there is only one way out—by going after Yellow Hawk himself . 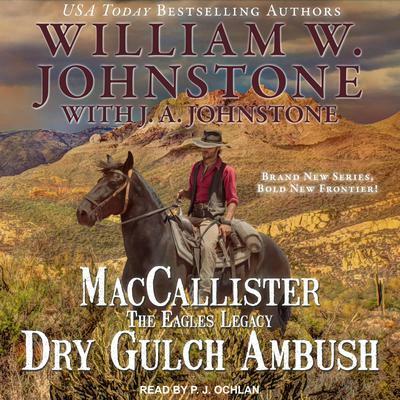 . .
Duff MacCallister is heir to a fierce family of fighting Scotsmen. 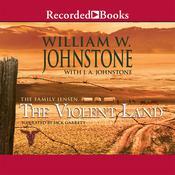 In a new land, in the extraordinary new saga by bestselling authors William W. Johnstone and J. A. Johnstone, Duff gives new meaning to the words without mercy. The Indians around Fort Laramie, Wyoming, are peaceful. Or so it has seemed—until killers ambush a detail of U.S. soldiers and an officer's wife. One man, an ambitious cavalry officer, flees the carnage and lives to tell the story—his own story, an outright lie. When Duff MacCallister and a few brave men go after the attackers, they discover the officer's wife is very much alive and at the cold merciless hands of the sadistic warrior Yellow Hawk. To free the woman, Duff touches off a fierce battle. And when he finds himself surrounded by the blood-crazed renegades, MacCallister knows there is only one way out—by going after Yellow Hawk himself . . .
J. 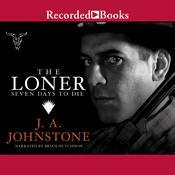 A. Johnstone is an author who cowrote numerous novels with William W. Johnstone, a prolific author of Western, horror, and survivalist novels. 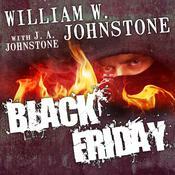 After William W. Johnstone’s death in 2004, J. A. Johnstone was chosen to carry on his legacy. 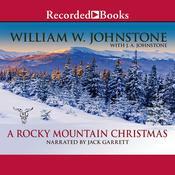 William Wallace Johnstone (1938–2004), born in southern Missouri, was a prolific American author, mostly of Western, horror, and survivalist novels. He began writing in 1970 but had his first novel, The Devil’s Kiss, published in 1979. After his death, it was announced that a carefully selected author had been chosen to carry on his legacy. J. 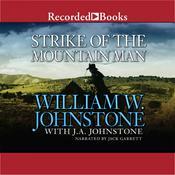 A. Johnstone is continuing William W. Johnstone’s series.